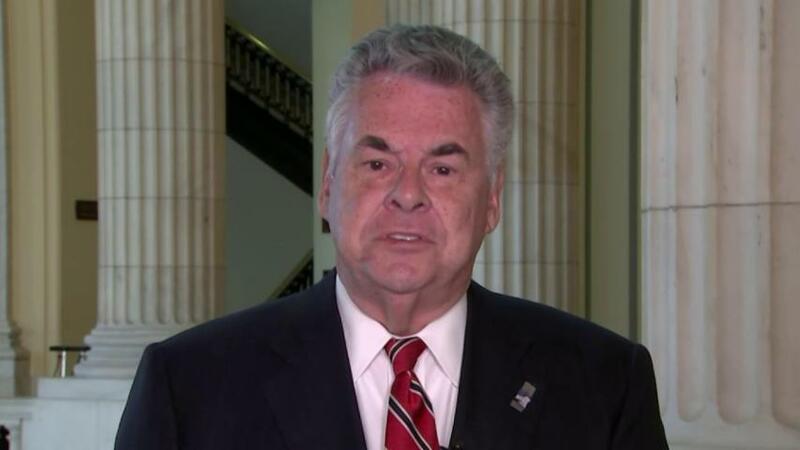 New York Republican Congressman Peter King hasn't been one to hold back how he feels about 2016 hopeful and Texas Sen. Ted Cruz, and on MSNBC Tuesday morning he made it clear. "In case anybody gets confused, I'm not endorsing Ted Cruz. I hate Ted Cruz," Rep. King said, kicking off his interview with the Morning Joe team when asked what how he thinks the New York primary will go. Nikki Haley -- This popular governor could be a big help to a Cruz ticket. Carly Fiorina -- UPDATE: News that Cruz had picked Fiorina leaked on April 27. Glenn Beck -- The conservative radio star hasn't formally dipped his toe into politics, but he's a big fan of Cruz. Donald Trump -- One thing's almost certain: Trump won't be a running mate for Cruz, and Cruz won't be Trump's. "And I think I'll take cyanide if he got the nomination," he added. "Now, having said that, I think you're gonna see Donald Trump score a big victory tonight," King continued. The most recent RCP poll predicts Trump will win with over 53 percent of the vote, while Ohio Gov. John Kasich takes second with 22.8 percent and Cruz takes third with just 18 percent. According to a NBC News survey, Trump remained the favorite with 46 percent support this week, unchanged from last week. Cruz dropped 2 points in the same poll, while Kasich jumped 3 points. Polls in New York are set to close Tuesday at 9 p.m. EDT.